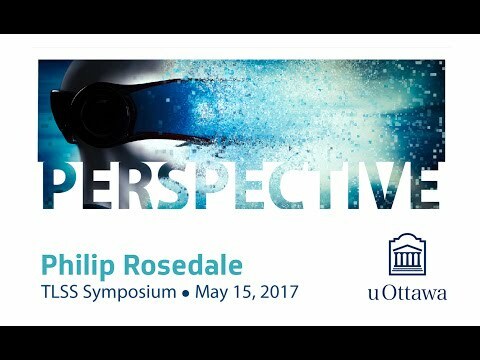 In the spirit of showcasing the work of University of Ottawa professors and instructional staff, the Teaching and Learning Support Service (TLSS) was proud to organize its third annual Symposium on teaching and learning coined “Perspective”. This year’s theme explored the overall values virtual and augmented reality bring to teaching, learning and research through an exploration of how we are currently using this immersive technology across a number of academic disciplines, both within the University of Ottawa and elsewhere. While we have had Virtual Reality (VR) technologies in various stages of development for the last 40 years, it is only over the last two years that we have witnessed a profound growth in the development of this exciting immersive media technology. A core set of recent technical breakthroughs have unleashed a huge increase in both Virtual and Augmented Reality (AR) devices and software advances. It has been suggested that VR and AR technologies will likely generate revenues of up to $150 billion by the year 2020. There is hardly an industry today that has not been touched by emerging VR and AR technologies: gaming, entertainment, advertising, film, manufacturing and health care to name a few, have all begun to explore the vast potential of this transformative media technology. We explored the work of a number of faculty members utilizing VR and AR in their teaching and research. It was a stimulating exploration and discussion around the role these powerful technologies plays in teaching, learning and research today and in the not-too-distant future. What is High Fidelity & Where are we heading? Second Life founder and former CEO Phillip Rosedale founded High Fidelity in 2013, with partners Ryan Downe and Freidrica Heiberger. The company was formed to create a next-generation social virtual reality platform. High Fidelity provides a platform for users to create, deploy and explore virtual worlds and ways in which we can interact within them. The software is free and open source, and currently supports the Oculus Rift and the HTC Vive devices. Phillip Rosedale will showcase this incredible networked VR environment and speak to the educational potential such an immersive, collaborative and engaging environment it can foster. Attendee explores a virtual pelvis using Microsoft’s HoloLens in AR demonstration area. McMaster University’s Anatomy Professor Bruce Wainman speaks on The Promise of Mixed Reality in Human Anatomy Education. Laurel Bestock giving her presentation, VR and Archeological Excavation in Egypt, from California. Richard Pinet, director of the Centre for eLearning, organizer of the event. 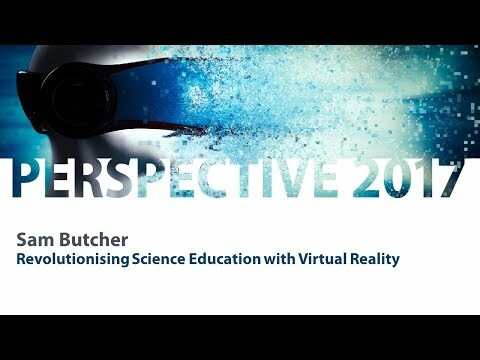 Sam Butcher of Labster speaks on Revolutionizing Science Education with Virtual Reality. High Fidelity’s Philip Rosedale, giving his presentation from the social, networked VR platform his company has created (see also the video above). Michel Laurier, former VP Academic presents Associate Professor Allison Flynn with a plaque and flowers in honour of her receiving a 3M Teaching Fellowship. Associate Vice-President, Teaching and Learning Aline Germain-Rutherford, welcoming attendees. Alain Hajjar, University du Quebec en Outaouis, speaks on use of VR in helping to overcome a number of phobias. Eugene Girard, Engineering Manager for Google Chrome’s VR and AR, shares some new developments in VR education. VR Racing car built by engineering student Tim Ludwik was a huge hit! Linda Garcia presents her work on the potential benefits of VR in the training of caregivers to people with dementia. 2017: Virtual and Augmented Reality in Higher Education ( Download the PDF of the 2017 program903.29 KB). 2016: Assessing Student Learning – Effective Practices, Challenges and Innovations ( Download the PDF of the 2016 Program). 2015: Blended Teaching and Learning ( Download the PDF of the 2015 Program).